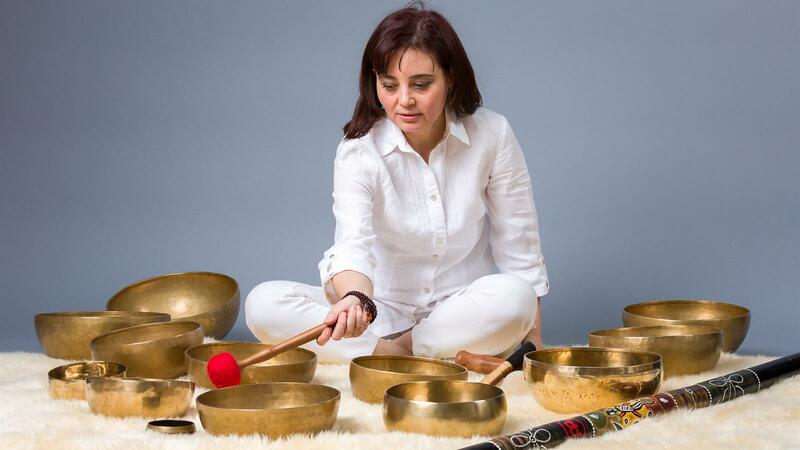 This sound bath is an improvised concert of sounds produced by different instruments (Tibetan singing bowls, Koshi chimes, rain stick, ocarina) and played with the intent to achieve a deeper state of relaxation, allowing the body and the mind to release any energy or thoughts which no longer serve you. It is in this state of relaxation that the body's natural repairing and healing mechanisms are triggered. When the Tibetan bowls are played on the body, the vibrations push against stagnation and energetic blockages so the energy will flow freely and the healing process can take place. You will leave feeling relaxed and restored, balanced and centered. In the fast paced, high-stress modern life that we live, a sound bath offers the time and space to reconnect with our breath, body and mind and the opportunity for healing. Please wear comfortable clothes and bring a yoga mat, blanket, pillow and whatever you need to feel comfortable lying down on the floor.